Pictured (L-R): Sony Music Nashville’s A&R Manager Margaret Tomlin, A&R Representative Jillian Whitefield, EVP/COO Ken Robold, Director Digital Sales and Streaming Alaina Vehec, SVP A&R Jim Catino, VP Sales and Streaming Caryl Healey Atwood, EVP Promotion and Artist Development Steve Hodges, Carlton Anderson, VP Arista Nashville Promotion Josh Easler, Sony Music Nashville’s Chairman and CEO Randy Goodman, Senior Director Partnership Marketing Nicole Marinake, VP A&R Taylor Lindsey, Director National Promotion Lauren Thomas and EVP Marketing/New Business John Zarling. Sony Music Nashville has announced the signing of artist and songwriter Carlton Anderson to Arista Nashville. 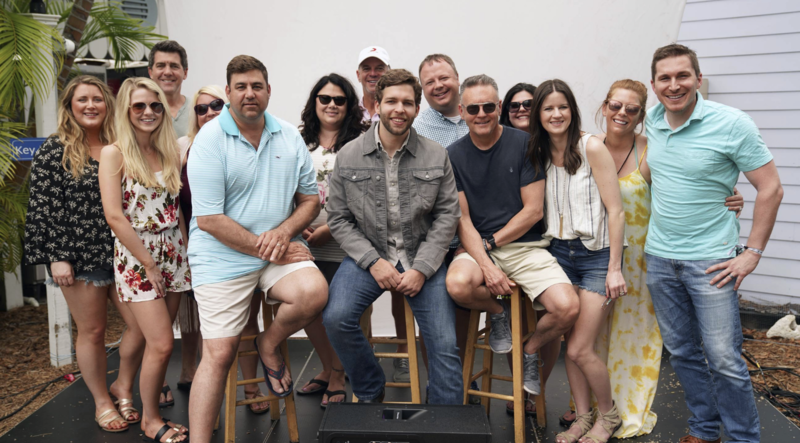 Anderson, who is signed as a writer to Warner/Chappell Music, is spending time with the Sony Music Nashville team as he prepares to launch his debut single. Anderson grew up in Cypress, Texas, and began working in the oil fields at 16 (two years before he was of legal age to do so), and also worked at a grocery store to save enough money to purchase a guitar and a small PA, so he could begin playing in dancehalls and honky tonks around Texas. Eventually, he saved enough money and the necessary co-sign from his grandparents to attend Nashville’s Belmont University. He would go on to play at Swingin’ Doors Saloon for the next five years, as he continued developing his songwriting skills.